Dream real for poor kids? The little kids are fourth graders. They go to William Penn Elementary School on Chicago’s West Side in the North Lawndale neighborhood. It’s the first day of school, September 2014, and they’re filing into the auditorium because Mayor Rahm Emanuel is here to tout rising test scores. The head of Chicago Public Schools at the time, Barbara Byrd-Bennett, is here too. “No matter where you’re from, what neighborhood you call home, and no matter what your dreams are in life, it is right here at Penn that our children are going to get their start — so that they can have that dream, chase that dream, capture that dream and live it,” Byrd-Bennett tells the kids and their teachers. The fourth graders look up at her. They’re sitting all together, pretty near the front. They’re hearing the big idea even before they get to class: It doesn’t matter who you are or what situation you’re born into. You can make it. And school is where that happens. School is what makes the American Dream possible. 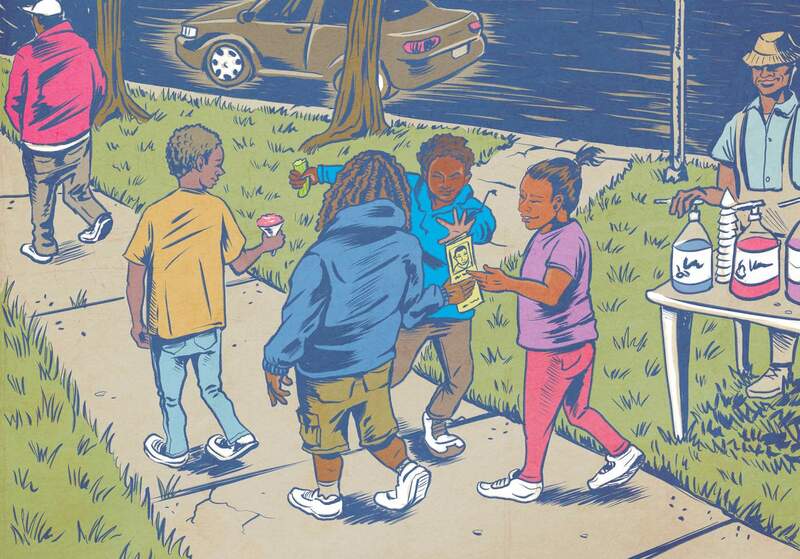 The fourth graders live in a neighborhood that really needs the American Dream. 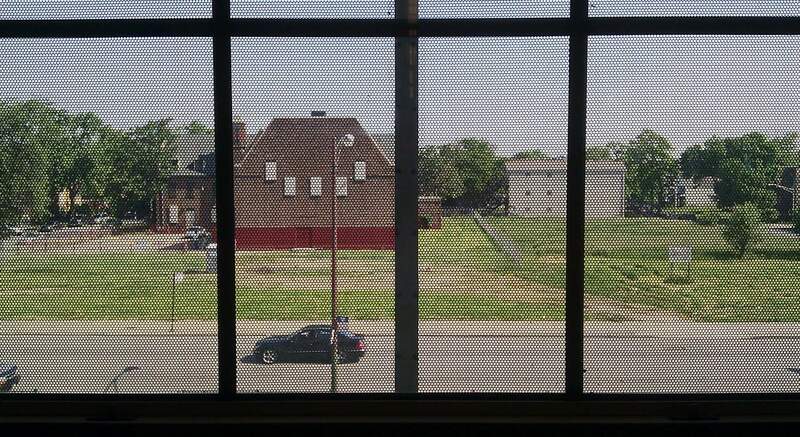 On every side of Penn are vacant lots and boarded up buildings. And with that, Byrd-Bennett makes very clear that it’s up to the fourth graders — and every kid in the room — to work hard and succeed. 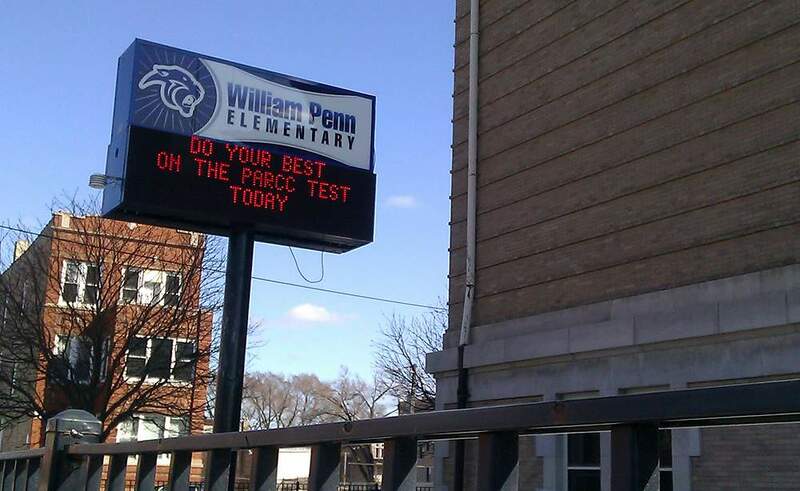 It’s up to them and William Penn Elementary. A powerful idea sits at the heart of our country’s identity: No matter who you are, no matter where you are from, every American deserves an equal chance to get ahead. It’s why public schools were created. They’re meant to be the great equalizer. Except, too often, they are not. For decades, this country has come up with reform after reform to try to fix schools. We’ve adjusted what we teach, how we teach it — all in an effort to help schools put poor students on more equal footing with wealthier kids, to put them on a path out of poverty. Recently, our country has adopted a more insistent philosophy. It’s sometimes called “No Excuses.” As in, poverty is no excuse. "No Excuses" basically says that if schools are good enough, they should be able to overcome kids’ economic backgrounds, the poverty of their neighborhoods, and get those kids to achieve at the highest levels. But the philosophy also says if schools can’t achieve, then something dramatic needs to change. “No Excuses” has led to a surge in charter schools, and to schools across the country being shut down. 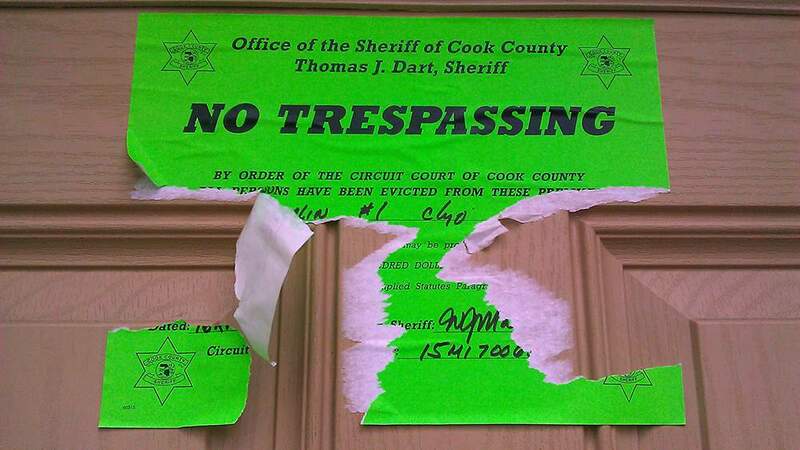 There’s been a lot of that in North Lawndale. In fact, two-thirds of the schools in this neighborhood over the last decade have either been closed, turned into charter schools, or seen their entire staff replaced, from the principal to the lunch ladies. It’s like thousands of other schools across the country that operate in this “No Excuses” moment, where everyone is on notice. It’s a typical school in a poor neighborhood. That’s why I decided to come here. I wanted to see up close what poverty slings at a school like that. I wanted to better understand the mystery of why so many schools in poor neighborhoods fail to do what we ask of them. If you haven’t been around fourth graders recently, let me remind you how great they are. They’re still curious and fun, happy to please their teachers. They get excited about simple things, like chocolate pudding for lunch. If anybody’s going to take the mayor and head of Chicago’s school system at their word — that they ought to dream big and be persistent — it’s the fourth graders in Room 205. At the helm is Carolyn Hathorne. If you saw her in the supermarket, you might guess she’s a teacher. She wears turtlenecks and teacher sweaters, sturdy shoes. She’s been teaching for four decades, and this day, she gets things started by asking what her new charges know about fourth grade. Ms. Hathorne explains that the state dropped the standardized test they took last year. “Lord, thank you!” one of the fourth graders exclaims, as if God himself struck down the test. “Well,” Ms. Hathorne says, “if that one went away, there’s a new test…PARCC.” But the fourth graders already know about PARCC, and the other standardized test they’ll take three times this year. The kids in Room 205 are only about an hour into fourth grade. Instead of imagining science experiments, art projects, field trips, they’re talking about standardized exams. That’s not unusual at high-poverty schools like Penn. The tests are how we measure a school’s success. It’s how we decide if all the reforms are working. In middle-class schools, where kids score well, the tests feel more like an afterthought. But in high-poverty schools like Penn, the tests are center stage. Ms. Hathorne oo’s and ah’s the good answers she gets from her new students. “I’m delighted. I think I’m gonna like this year!” she tells them. But privately, as she looks out, she also sees the challenges before her. There are 30 kids in the class. And — try to imagine this — 23 are boys. One is the son of a former gang leader. One is depressed and on medication, at age nine. Several children have parents in jail, or recently released. 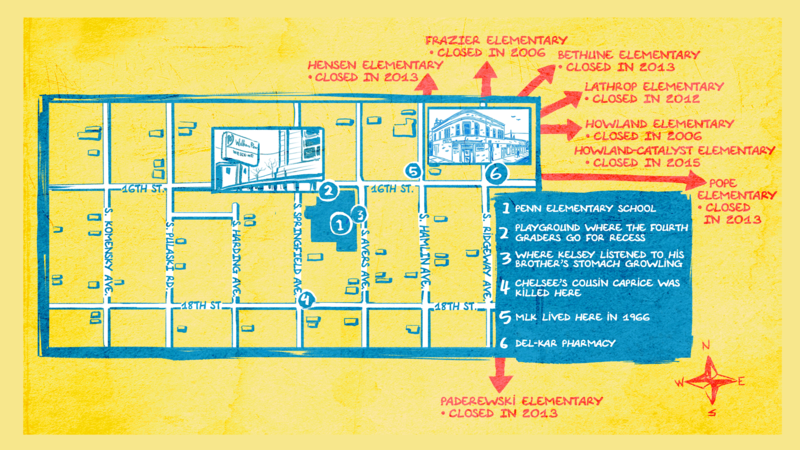 Penn Elementary sits on 16th Street, once a main neighborhood commercial strip. Today, there are more shuttered businesses than open ones along 16th Street, most everything is behind bars or bulletproof glass. But so much inside Room 205 feels optimistic. 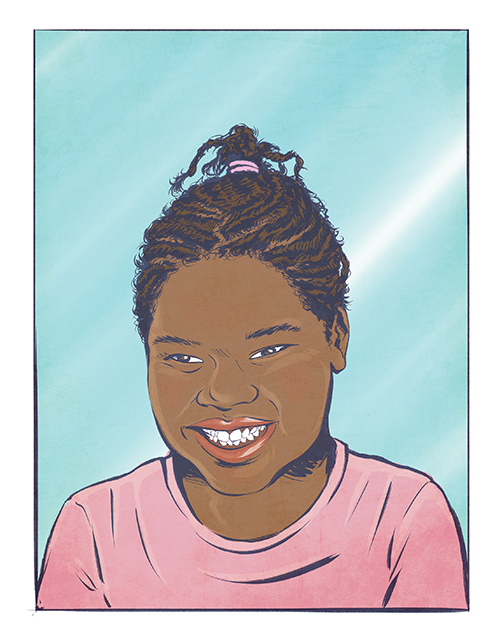 When she can’t get a projector to work, or the fourth graders have trouble logging on in the computer lab, Jamariya gets the call. 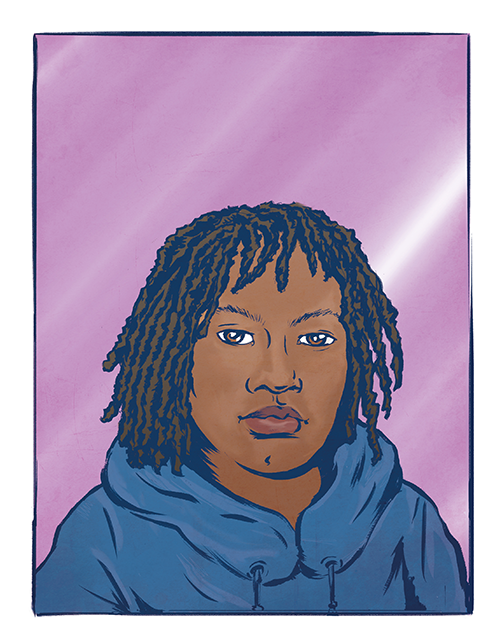 Jamariya is a little chunky, has a head full of dreadlocks; he looks like he could somehow be your uncle, even though he’s only nine years old. Jamariya loves those illustrated encyclopedias and anything electronic. His current obsession is an obscure video game called Mugen.When I meet Jamariya’s mom, she tells me she’s sure he’ll be a video designer when he grows up, maybe a software engineer. I liked thinking of what the fourth graders might be one day. Like Chelsee, a little girl with an outsized laugh. She was always organizing something in Room 205. She’s bold and opinionated — maybe a future activist. One day I stopped by Jamariya’s apartment. I wanted to see all the characters and games he was always talking about. I wasn’t sure if we’d be looking at a laptop or a desktop. But I had not considered this: He pulled out his mom’s cell phone. It had a cracked screen. There is no computer. He used an aunt’s computer at one time, “til she had to pawn it,” Jamariya tells me. Later in the school year, I noticed an article in the newspaper about the popularity of Minecraft summer camps — and of course I thought of Jamariya. Some parents were offering to pay extra — more than $1,000 — just to secure a spot for their kid in a weeklong camp. 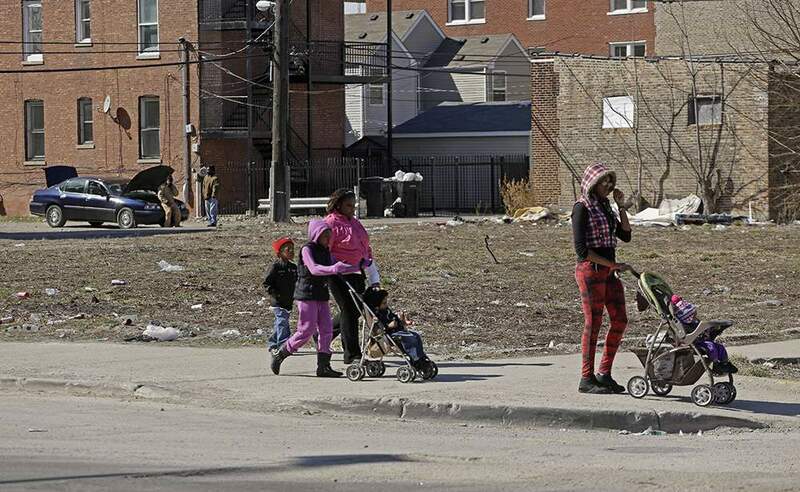 In Lawndale, the per capita income is $12,000 a year. That’s close to the amount affluent parents spend on their children annually — not for basic needs, but for “enrichment”— musical instruments, tutoring for standardized tests, Minecraft camp. When she can, Jamariya’s mom buys him the latest video game. Some parents worry about too much screen time for their kids. She’s happy he’s in the house, away from everything outside. In all Jamariya’s favorite games, you make the characters, you decide their powers, you control everything that happens. 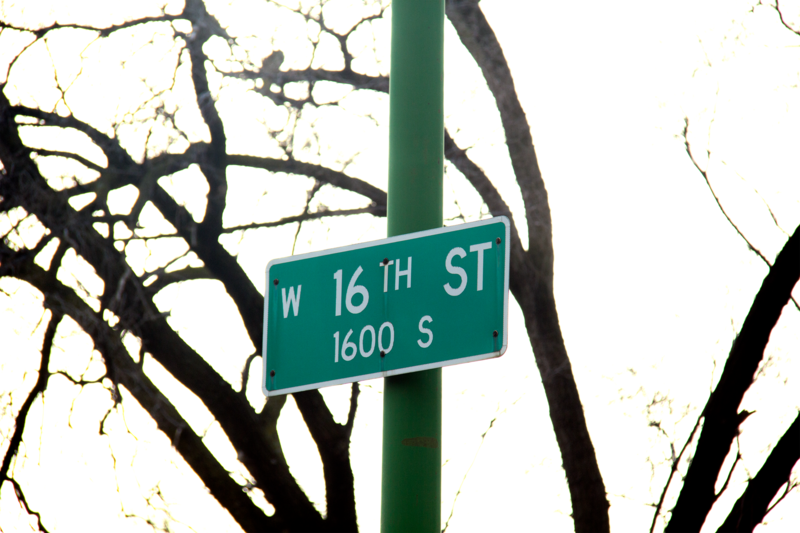 After hanging around on 16th Street for a while — that sounds great. Back at school, I would let the fourth graders play with my radio equipment during recess. They would pretend to be reporters and celebrities. Just about every time Kelsey got near my tape recorder, he’d give a shout-out to his mom. I thought they were like any other kid’s shoutouts until I found out he only sees her on Fridays. He’s a foster kid. Kelsey saw my microphone as a way to connect with her. He found some way to work it in, no matter the question. Penn is Kelsey’s third school in three years. His first was shut down. He changed again after he was placed in a foster home. But he’s still relentlessly positive. Example: How was your day, Kelsey? In other words, nothing special even. Great is just Kelsey’s baseline. When you talk to kids like Kelsey — or so many of the kids in Room 205 — you feel like it is so possible to overcome poverty — by sheer positivity, smarts, curiosity. Ms. Hathorne’s class is learning prefixes. Kelsey is working with a partner. And he’s doing a little dance right by his desk — which he does unconsciously almost all the time. Many of the words they’re supposed to modify with their new prefixes are words they don’t know. Words that neither school nor life along 16th Street has taught them. Like the word ripe. I can’t name a store along 16th Street that sells fruit. “Are ripe,” Kelsey guesses. “Are rotten,” his partner guesses. Ms. Hathorne tries again. This is her second group of students struggling with the word. “I would say they’re not all the way grown,” Kelsey says. He and a friend lean over a dictionary, eventually finding the answer. I want to paint a picture of the neighborhood just outside Room 205, where these 30 fourth graders live. Imagine TV footage you’ve seen of Detroit or Baltimore, or the worst parts of New Orleans a few years after Hurricane Katrina. 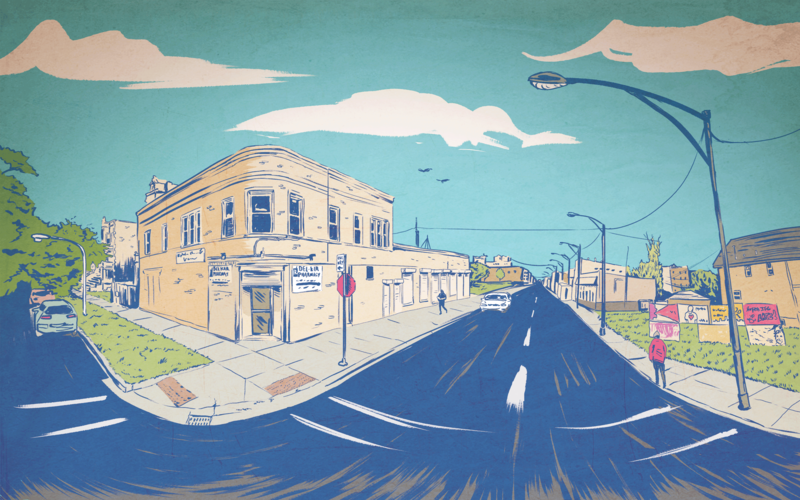 North Lawndale's Katrina has been a decades-long storm of disinvestment, slow and thorough. One day I ran into Kelsey outside, right by Penn. He was with his brother, and we were talking for a while before I realized the conversation kept coming back to the same place. Did I have any candy? Gum? Since there was no school this day, there was also no school breakfast or lunch. A guy from a social service agency happened to pass by. He tossed each of the boys a little bag of chips. Kelsey’s brother Kelton finished his own, then started eyeing Kelsey’s. I asked the boys if they were hungry. Yes. I asked what they’d eaten that day. “We ate chips, and that’s all,” Kelsey says. It was almost 5 p.m. Sometimes it feels like there just isn’t enough food in Lawndale. There’s been an increase in people living on $2 a day or less in this country — and Lawndale is one of the places they live. Homes that stay dark after the sun goes down? Not enough for the light bill. One of the fourth graders’ relatives was arrested for drugs at one point. In 24 hours, among everyone they knew, the family couldn’t put together $100 for bail. They got to $40. One of the fourth graders’ moms sometimes sells her body. There are moments I love about Room 205. Like when the whole fourth grade breaks into spontaneous applause — which actually happens a lot. Ms. Hathorne gets the clapping going one day when a student repeating fourth grade reads all the vocabulary words perfectly. Though she’s approaching 70, Ms. Hathorne still has a way with fourth graders. She’s considered a pro at Penn. She even trained the principal. But she’s also an old-school teacher. Her own training took place in the late 1960s. 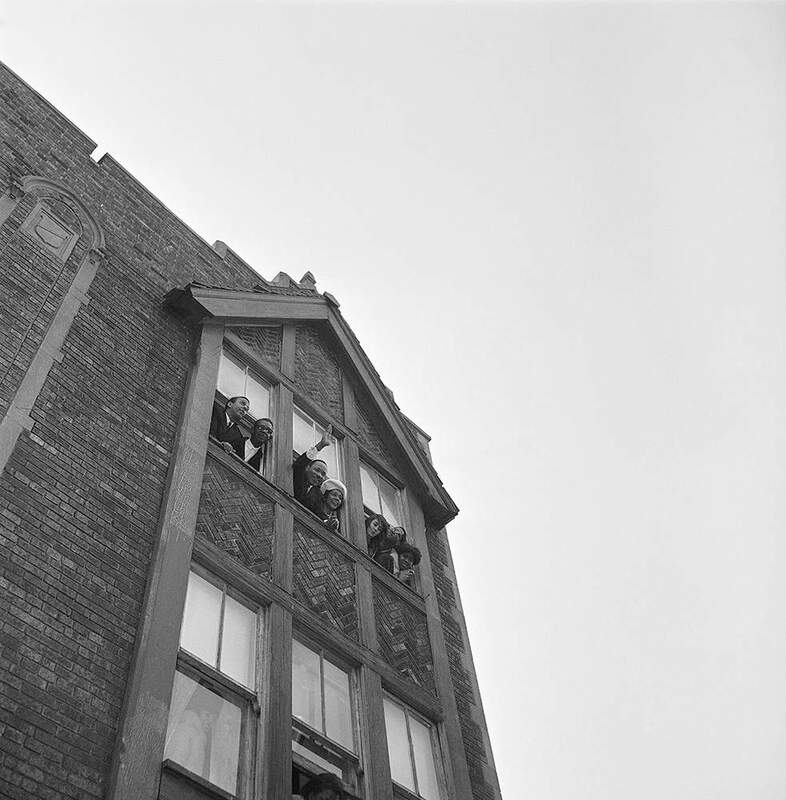 Back then, Chicago assigned black students to infamous temporary classrooms to avoid integration. So Ms. Hathorne’s very first classroom was inside a public housing building. She was assigned a mentor to help her become the best teacher possible. But the mentor only visited her once. A mattress full of flames fell from the upper floors, right by the classroom. The mentor asked Ms. Hathorne to walk her to her car, and she never came back. From then on, the mentor tracked Ms. Hathorne’s progress through a journal. That was Ms. Hathorne’s preparation as a teacher. The segregation and racism of the city was baked right into her training. And few of the conditions she teaches in have changed. It’s Ms. Hathorne’s normal. Concentrated poverty, segregated schools, a bombed-out neighborhood. 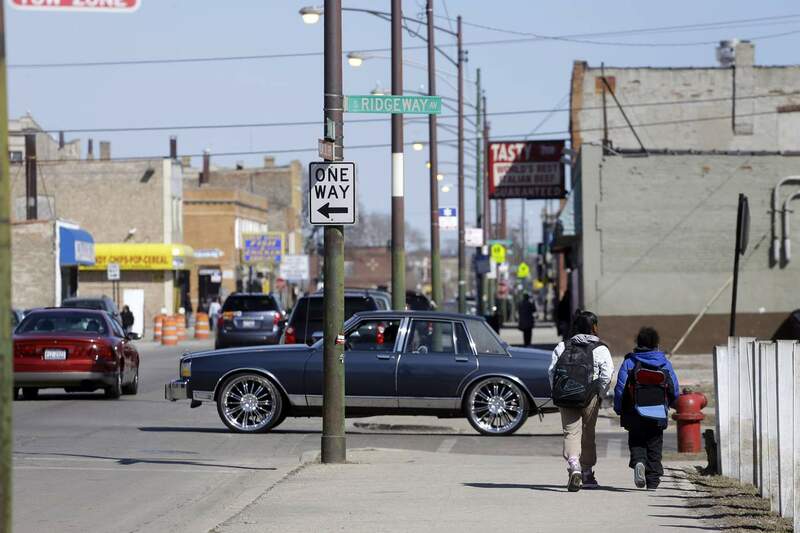 In Lawndale, a lot of things are normal that shouldn’t be. As soon as I found out about the killing, I went to see Chelsee. Her cousin Caprice was 16 years old. On the funeral program he has a baby face. He’s floating in a blue, cloud-filled sky, light from the heavens all around. He was shot on the same block as Penn. I found Chelsee outside. She was just back from the funeral. “He got shot two times in the head and three times in the chest,” Chelsee says. This has become the way Chelsee explains what happened, the refrain of her cousin’s killing. The funeral was open casket. Makeup covered the bullet holes. At 10, Chelsee is one of the older kids out here. I feel like I’ve stumbled onto a mini impromptu memorial, one just attended by children. I ask if Caprice was the first person Chelsee knew who was shot. She looks at me, puzzled almost. While I was with the fourth graders in Lawndale, Arne Duncan was the U.S. Secretary of Education. He was in Chicago at one point for a conference. 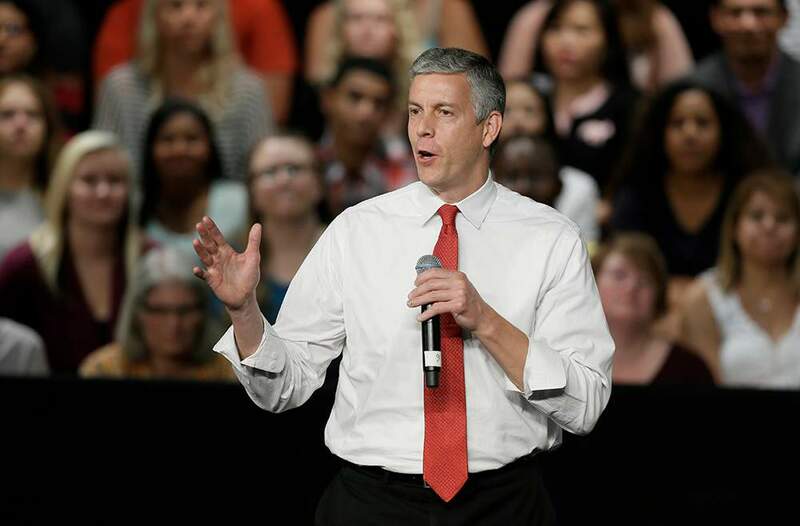 Arne Duncan was U.S. Secretary of Education from 2009 until 2015. I told Duncan about the fourth graders in Room 205 and we talked about all their potential. But we also talked about them being hungry, the violence, families falling apart. He knows this stuff, especially in Chicago, where he led the school system. I asked if he had a message for Penn’s fourth graders. Have faith, he said. Work hard. Maybe I wasn’t fair to Arne Duncan. Honestly, I wouldn't tell the kids any different. But you can hear how that message sounds in the face of everything they’re up against. 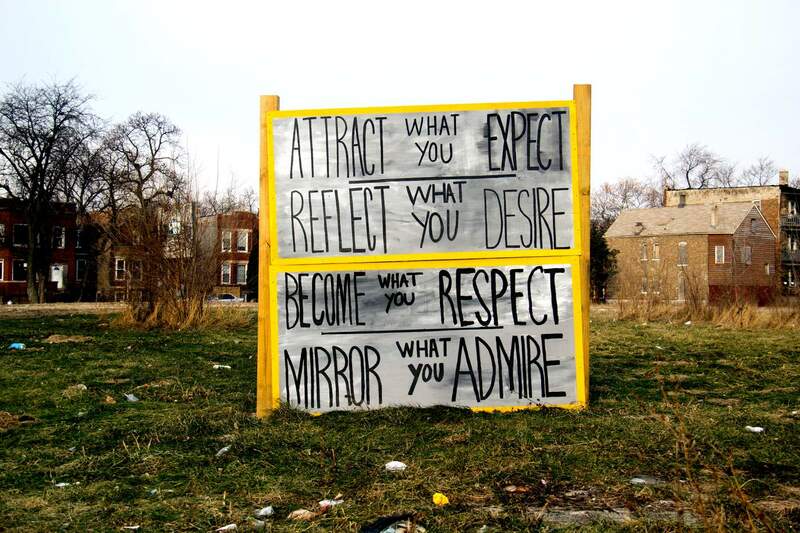 And I struggle more and more with that message the longer I stay in Lawndale. The problem isn’t that we tell poor kids they can make it. The problem is we haven’t made a world for them where that’s true. By January, with standardized tests coming, you can feel the pressure rising in Room 205. Nobody has ever told Penn that if they don’t hit a certain testing target they’ll be shut down. Nobody’s had to. More than 100 schools in Chicago have either been closed or seen their entire staff fired over the last 15 years. Penn’s been on warning lists before. The third floor has already been turned over to a charter school. Now, in Room 205, Ms. Hathorne has begun using a code word in class: 18. Eighteen of her students — more than half the class — barely passed third grade. 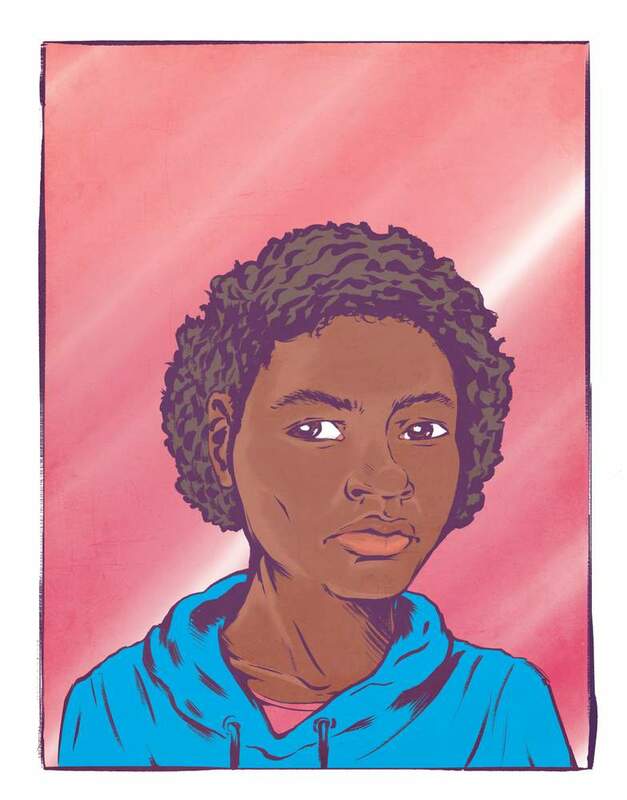 One of her biggest challenges — one of the 18 — is a boy named Kareem. Kareem fights with classmates, he falls out of his chair during lessons. He’s a threat to everything Ms. Hathorne is trying to accomplish this year. When you have a kid like him — every school has one — you go to the parents. Ms. Hathorne has tried so many times to get Kareem’s mom on the phone. 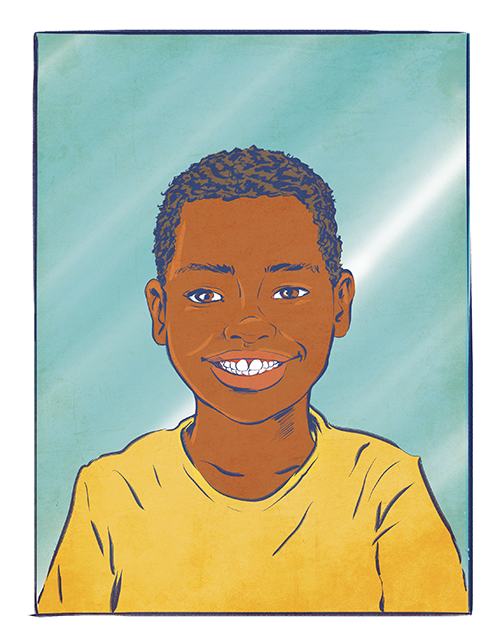 But she also knows Kareem is largely raising himself, with help from brothers and sisters barely older than he is. One day, an answered prayer: Kareem’s godmother comes up to Room 205. Ms. Hathorne calls Kareem to the front of the room. His godmother stands right beside him. And Ms. Hathorne asks the fourth graders to tell Kareem how they feel about his disruptions. Half a dozen kids get up to testify. Kareem has his hands in his pockets. He looks sometimes at the floor, sometimes at his classmates. Then his godmother takes over. “Now you wanna tell your teacher and your class how sorry you is from wasting their time while she’s trying to teach them and you taking their learning away,” the godmother says. Kareem apologizes. But his classmates think it’s half-hearted, and his godmother has him do it again, with feeling. After a few tries, the fourth graders seem to understand that Kareem is giving all he can. “You’re welcome,” they say, not totally sure of what the correct response is after someone apologizes for taking your learning. In January, Ms. Hathorne starts teaching six days a week. There’s Saturday school at Penn in preparation for standardized tests. When the first round of scores come back, the news in Room 205 is not good. 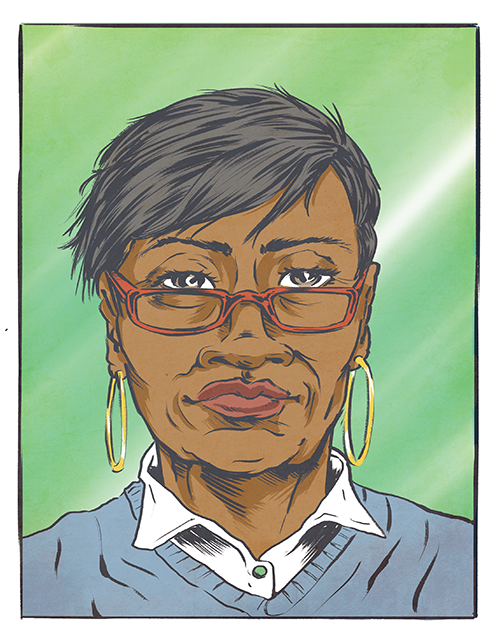 Ms. Hathorne was in the uncomfortable position of having the least progress in the school. “I’m not sitting in another meeting looking down at the floor again 'cause I’m embarrassed,” Ms. Hathorne tells her students. “It’s not happening, and you gonna do something about it, hear?" Maybe you’re wondering how everybody did on their tests. Which of the fourth graders really prove that it’s true — that you can make it. That poverty is no excuse for low achievement. There are definitely kids like that at Penn. And everybody loves those stories — about kids who defy their circumstances, schools that beat the odds. We should learn as much as possible from those examples. But here’s the problem. Those kids and those schools are outliers. And focusing on the outliers distracts from a bigger truth: poor kids in the U.S. are not beating the odds, even after decades of school reforms. The big picture is not easy to look at. It doesn’t fill us with hope. It looks like this: The more poor kids in a school, the lower the scores. Nothing better predicts how kids will do on standardized tests than where they sit along the spectrum of poverty and privilege. Of all the high-poverty school districts in the entire country, not one scores even at the national average. And the gap between how rich kids and poor kids do in school is actually growing. Decades of fixing schools has not shaken poverty’s hold. This is what we have to wrestle with if we want to make the American Dream real for poor kids. I am not the first person to look at poverty from this very spot. In 1966, Martin Luther King, Jr. moved into a dilapidated apartment right across the street from William Penn Elementary. If the building were still standing, the fourth graders could see it from the playground. 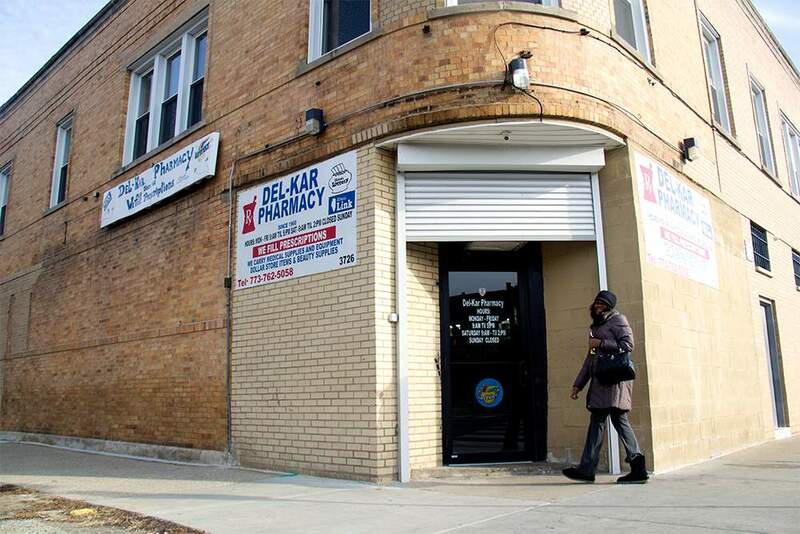 In North Lawndale, King’s stairwell smelled like urine, the door to the street wouldn’t lock. This was after he’d won the Nobel Peace Prize, after Birmingham and Selma. Now his target was poverty. He wanted an end to what he called slum jobs, slum wages, slum schools. And his message sounded really different from what you might have heard before. King wanted the government to battle poverty head-on. He called for a huge increase in the minimum wage and massive investment in neighborhoods like this one. He wanted everyone to be guaranteed a basic income. King said this would be the hardest part of the Civil Rights Movement, because it was going to cost society something: “It’s much easier to integrate a bus than it is to get a program that will force the government to put billions of dollars into ending slums,” King said. 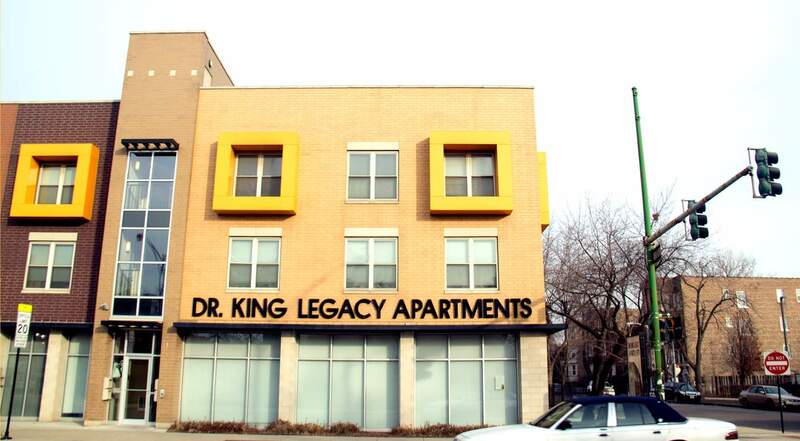 Almost nothing of what King called for has been implemented in Chicago, even partially. That feels really obvious if you visit Lawndale. 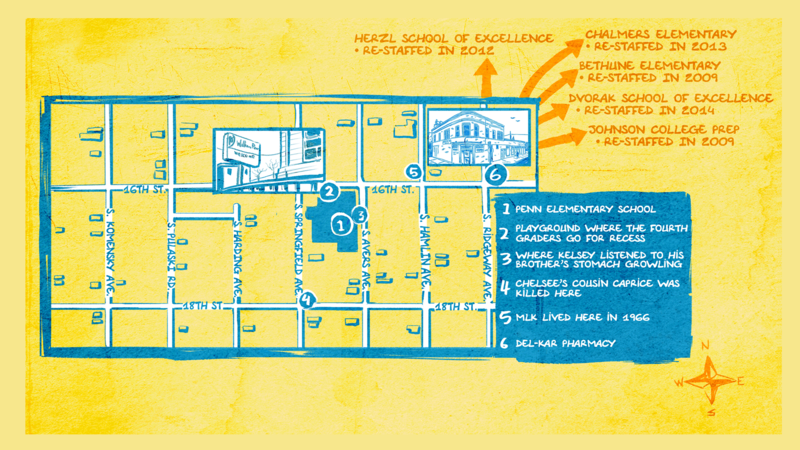 About a block from Penn Elementary, the Del-Kar Pharmacy is one of the only businesses that has hung on these 50 years. Neighborhood legend has it that King bought his newspaper here. 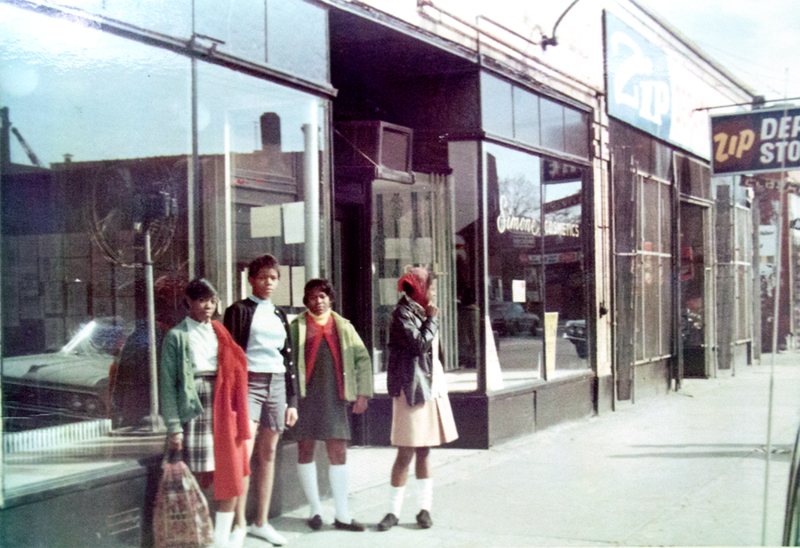 A bunch of old photographs in the pharmacy show a bustling 16th Street — grocery stores, department stores, dentists, nightclubs. The astounding thing about those pictures is how good things look. I have to keep telling myself this was the slum King was trying to end. It looked so much better than 16th Street today. Today, the poverty rate is higher in this neighborhood than it was in 1966; 76 ercent of Lawndale residents older than 16 don’t have a job. 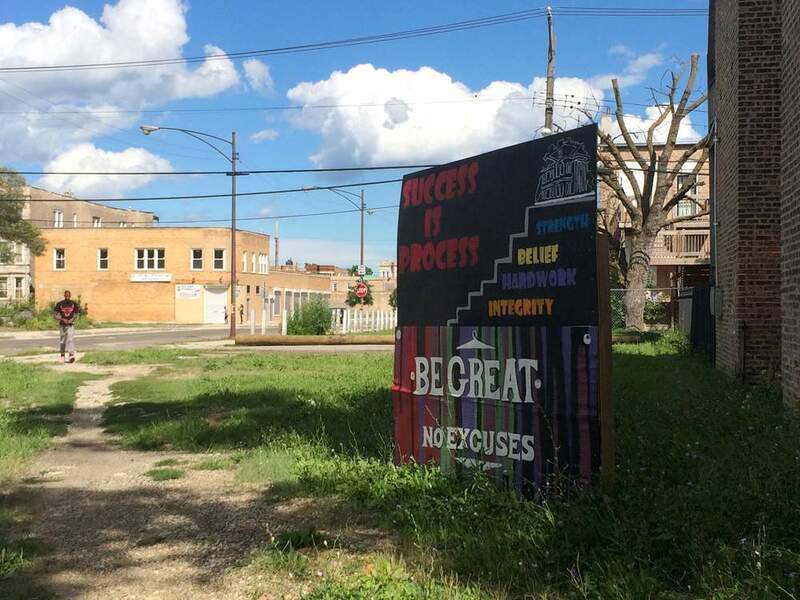 If anyone can help North Lawndale kids out of poverty, it should be Sherryl Moore-Ollie. She’s Penn’s principal. She grew up in North Lawndale. She knows what it’s like to have to double up with relatives who are barely better off than you are. She still remembers the day an abusive boyfriend stabbed her mom on the street, little Sherryl by her side when it happened. Gangs lured her brother. Despite all that, Sherryl Moore made it. She was her high school valedictorian and graduated from Illinois’ best public university. Today, she has her doctorate. We want Dr. Ollie’s story to be everybody’s story. But when you hang out at Penn long enough, you see the complicated dance Dr. Ollie and the teachers do to try to make Penn live up to its promise. She hired an extra third grade teacher to keep class sizes down. But that means art is taught by two parents. And music is taught by a contractor. Their instrument? The orange Home Depot five-gallon bucket. It’s a chaotic class. “It always hurts my ears,” Jamariya said one day. Dr. Ollie resents having to cut corners. And her students need so much more. There are 367 kids at Penn. 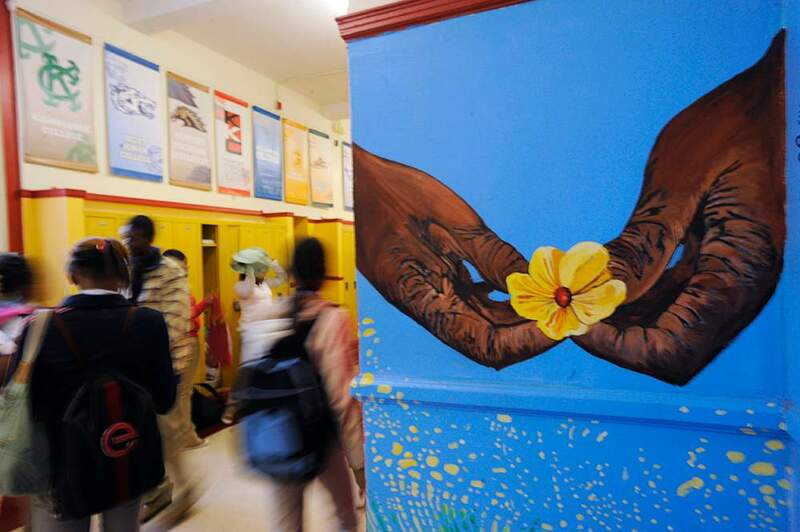 It’s one of the neediest schools in the city. But just 18 get time with a social worker. Not a single fourth grader in Room 205 qualifies. But even if Penn had all the resources of a wealthy school, the world outside would be just as mean. There would still be no fruit on 16th Street and no jobs. There would still be no parent to call about Kareem, the boy who’s mostly raising himself. Little bits of Kareem’s history have appeared in the newspaper. Like a story about Kareem’s mom allegedly killing her boyfriend with a steak knife, all six kids at home. The youngest was Kareem. Every time I come by Room 205, Kareem is getting in trouble. Today Ms. Hathorne tries to take him out of class and walk him down the hall. Kareem says he’s not coming and slowly starts to cry. He’s standing against the wall in the hallway, under his hood. Ms. Hathorne calls the security guard to get him to class. Kareem is really sobbing now. To me, it seems so obvious that something else is going on. I think Ms. Hathorne probably sees that too. But she has a broader mission: 30 kids. By now I know lot of things that could be making Kareem cry. Maybe it’s the unanswered Christmas letter Kareem sent to his dad in prison. Ms. Hathorne helped him write that. Maybe it’s his mom’s addiction to Leaf, a drug that’s all over Lawndale. On the day she’s supposed to check into rehab, she can’t make it. We have this idea that schools can be radically different from the communities they’re sitting in. We want schools to be havens. And Penn really is a haven in many respects. But schools are not impervious. Penn called the police 22 times in the school year I was there. That’s about once every other week. 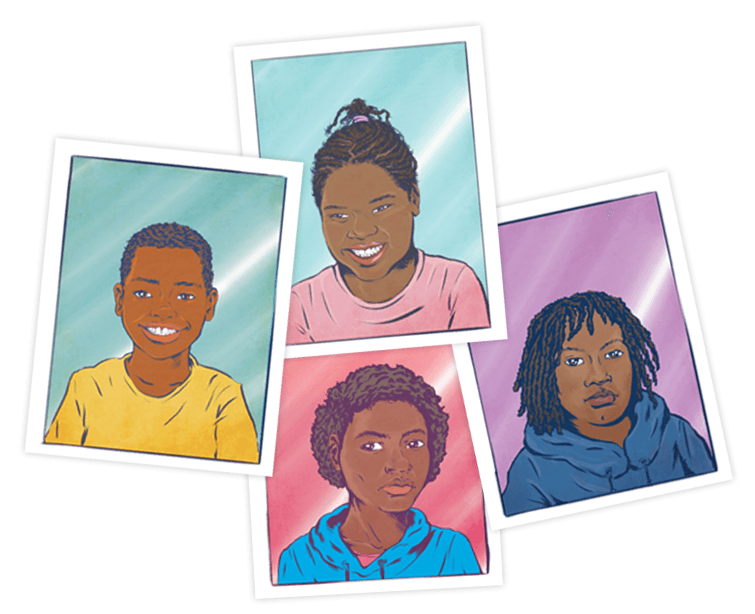 One day a foster care worker arrived at Penn. She came for Kareem. She was with three police officers in case Kareem or his brother or sister tried to run. Dr. Ollie couldn’t watch. She stayed in her office. The three kids were taken to an emergency shelter on the South Side, pretty far away. Dr. Ollie convinced their new foster mom to bring them back to Penn for school. 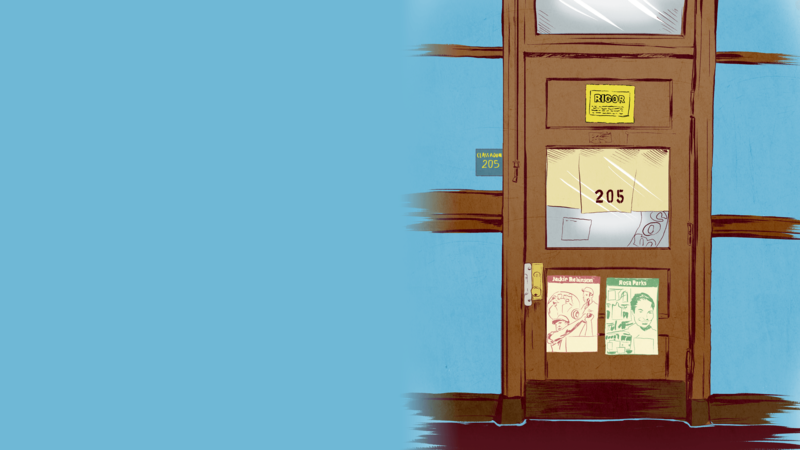 In the spring, when Principal Ollie goes to a performance management session with district officials, they pick apart every thing that can possibly be measured at Penn — test scores, attendance rates — all down to the tenth of a percentage point. When she gets back, she shares a torrent of frustration with her assistant principal. “They don’t understand what we deal with,” Dr. Ollie says. “I mean, 100 percent attendance would be perfect — if we had perfect families. You know? But we don’t. The week before the big PARCC test I stopped at a staff meeting in the principal’s office. The third, fourth and fifth grade teachers were gathered, including Ms. Hathorne. The topic was the upcoming PARCC test. Each teacher was looking at a test booklet or a photocopied test booklet. The PARCC tests arrive in the mail. School officials are told to keep the box under lock and key until they give the exam. That’s how serious security is around these tests. But now here were the teachers looking at the actual test. They were poring over reading passages and questions. 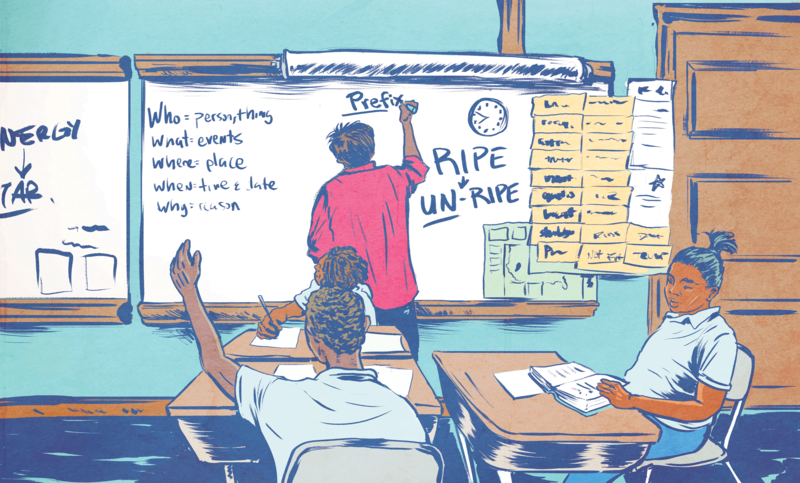 “We already read this — oh good!,” one teacher says. I acted like it was normal to see teachers paging through the state standardized exam. But all I could think of was: Why are they doing this? I did not want to be seeing this. The principal confirmed they were reviewing the actual test, the one students would take the following week. I ask if that is allowed. Actually, no, they can’t. That’s really clear in all the rules schools are given about this test. I didn’t come here to report on standardized tests or to do an exposé. My thing was to see up close what poverty throws at 9- and 10-year-olds and how their schools respond. It wasn’t until later that I realized that what I saw at that staff meeting was part of my story. It’s part of what we get by telling schools that there is no excuse for low scores. I’m not saying we get cheating every time. I’m not even sure if I should call what happened at Penn cheating. Sometimes I would leave Penn, turn on the news in my car and hear about big, blatant cheating: Like Atlanta, where teachers were told to get scores up “by any means necessary.” They changed kids’ answer sheets. That’s not what I saw at Penn. But the pressure feels the same. With just three weeks left of school, everybody in Room 205 lines up. They march downstairs to a basement computer lab to take the highest stakes test of the year, in a pale yellow, cinderblock room. The kids’ scores will help determine Ms. Hathorne’s rating as a teacher and Penn’s rating as a school. Nearly all the kids are carrying their class planners, which have a whole reference section inside, with multiplication tables, shapes, money and decimals. Ms. Hathorne had instructed the kids to bring them, which is weird, since no reference materials are allowed during testing. When I wandered back, testing was wrapping up and Ms. Hathorne asks me to wait. These things I saw — teachers looking at the test ahead of time, kids using reference materials during a test — they’re wrong. Of course they’re wrong. They’re also the only things I’ve said in this story that would ever make a news headline. You can probably imagine that news story, too. The principal on the hot seat. The teacher. All the fingers pointed. But now, imagine all the things I’ve told you about that would never get a headline. That would never get attention. All you wouldn’t know about Penn. You wouldn’t know that the fourth graders learned the word ripe from a dictionary. You wouldn’t know about the killing of Chelsee’s cousin or about Kelsey missing breakfast and lunch. That’s not news. You wouldn’t learn that no one in Room 205 gets time with a social worker. A week after Room 205’s big test I ran into Ms. Hathorne in the hallway. She brought up what I had seen with the class planners, saying she had struggled over what was right. I tell Ms. Hathorne that is the whole point of me being here — to see what Penn is up against. “Don’t nobody care,” she says. "That's the bottom line, Ms. Linda. Nobody cares." Maybe you’re thinking that the whole problem here is not poverty. It’s Penn. Maybe you’re thinking that a good school could overcome all this. Just down 16th Street is a charter high school. Many Penn students come here after eighth grade. It was started 20 years ago by a former Catholic priest, John Horan. His goal was to get Lawndale kids into college. That’s pretty much the only path out of poverty these days. So the school added social workers, trips to colleges, a fund for student emergencies. He’s gotten donors to pay for it all. Many more kids are going to college thanks to his school, but it’s far, far from half. So now the school is getting even more aggressive. Horan is planning housing for the most vulnerable students, like a dorm. They won’t have to worry about eviction or food or heat in the winter. Is this what schools must do to become the great equalizers we want them to be? I want to tell you about the end of the school year at Penn. All the fourth graders in Room 205 passed to the fifth grade. They also celebrated Kareem’s birthday with cupcakes. Penn did not meet its testing goals the year I was there — despite all efforts, legitimate and not so legitimate. More recently, scores are back up. 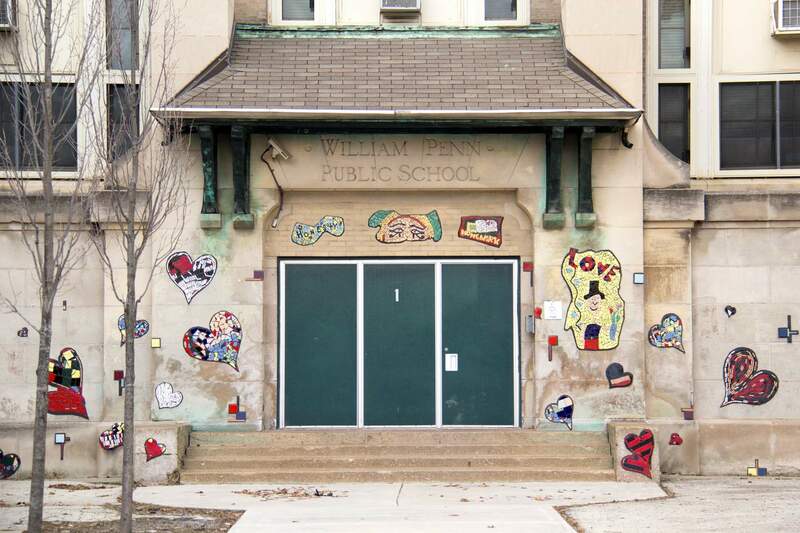 Penn students scored the same on the PARCC test as the charter school upstairs. They scored higherthan the re-staffed schools in Lawndale. Of course, all those schools are still miles below where middle-class kids score. We believe schools can overcome poverty. But what if we're wrong? What if we’re putting way too much faith in schools to overcome all the obstacles poverty presents? I’m not suggesting that would be true because poor kids are any less bright or talented or because they don’t work as hard. But because money — the kind of money that middle-class or affluent people have — buys experiences that help kids understand the world, understand the word ripe. It buys music lessons and sports practice, connections to people with jobs and opportunities. Money buys dinner every night, a neighborhood where kids are not shot, a school with more resources. Money buys freedom from the stress poverty brings. I want to be really clear: I think we should work as hard as possible to make schools as good as we can make them. It’s where our kids learn to be thinkers and citizens. But what if we’re just plain wrong about schools being able to overcome poverty? That would mean that all our school reforms, decades of them, might be making schools better, but they’re not making the American Dream come true — not for kids in neighborhoods like Lawndale. After his time in Lawndale, Martin Luther King Jr. became even more convinced that poverty should be attacked head-on. He said trying to fix education or housing is just too indirect: “Each seeks to solve poverty by first solving something else,” he wrote. They challenge the quality of schools, and they’re right to do that. But they don’t go after what King was challenging: The conditions kids live in, the conditions in which school takes place. The View from Room 205 was produced by WBEZ Chicago. It was edited by Marianne McCune, with Cate Cahan. Production by Joe DeCeault. The executive producer is Ben Calhoun. Reporting during the 2014-15 school year at Penn was supported by a Spencer Fellowship in Education Reporting at Columbia University’s Graduate School of Journalism. Much of the music used in this documentary was created and copyrighted by Blue Dot Music, and used here under a Creative Commons license for noncommercial use. Music used comes from the albums Marble Run, Crab Shack and Nursery. Find the full transcript of the radio story here.